I didn't realize when we headed for South Bend, Indiana, that we were heading to the home of the Fighting Irish of Notre Dame University. This building is the library—9 floors of books. One of our hosts, a history major, studied here in his college days, and is still impressed, years later, by the huge number of books that were available in Latin. The front of the library is adorned with the Word of Life mural designed by artist Millard Sheets. 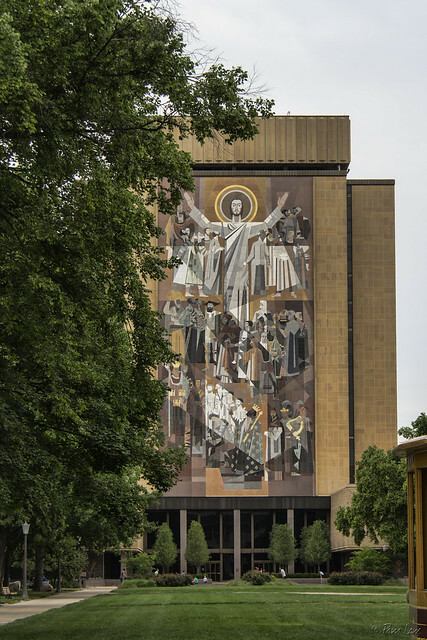 This mural is popularly known as "Touchdown Jesus" because it is visible from the football stadium and gives the impression that Jesus' arms are signaling a touchdown. The campus is beautiful—almost enough to make me want to go back to college. 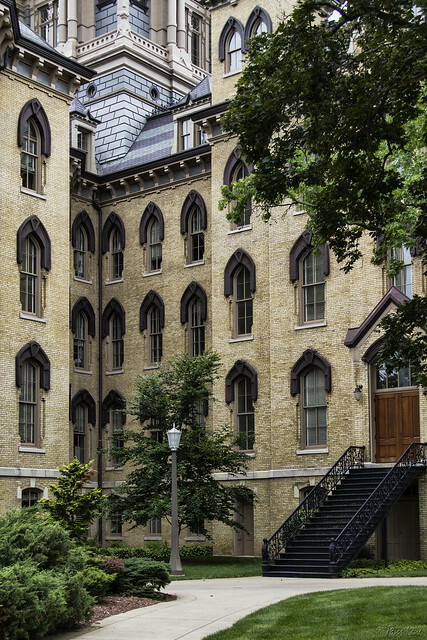 (Even the new buildings maintain the same timeless character and ambiance.) 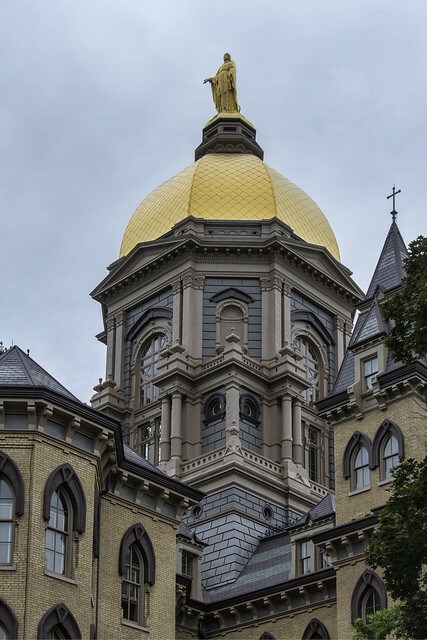 The Main Building (the administration building) is topped with a gold dome and a statue of the Virgin Mary. 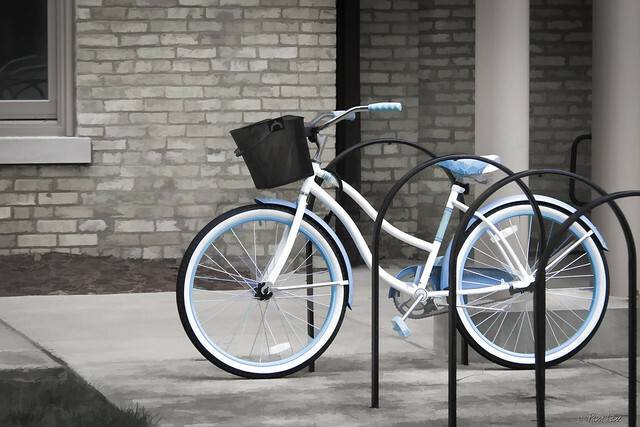 And everywhere, there are bikes.